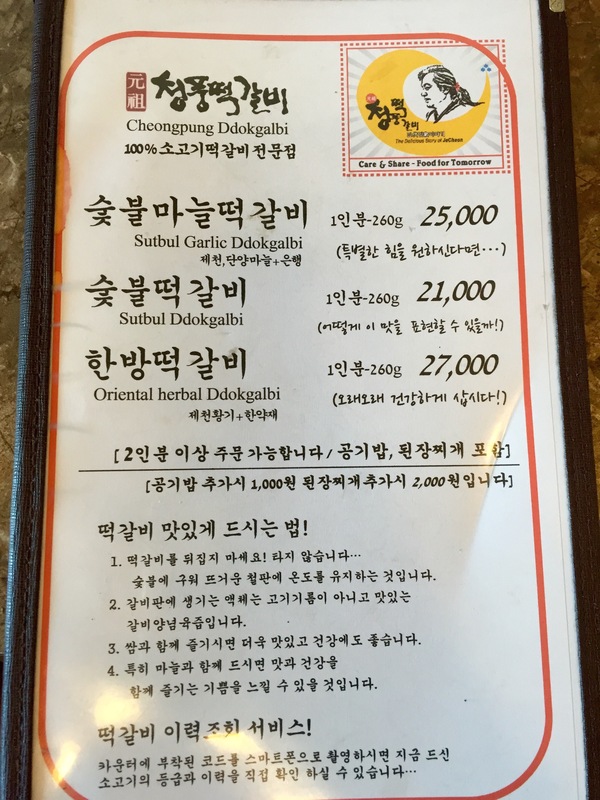 On our recent trip to Danyang we stopped in at Cheongpung DDokgalbi which is the restaurant that we are told made this delicious food famous. This is basically the Korean version of a hamburger steak. The DDokgalbi (TTeokgalbi) is rib meat that is finely minced and then marinated. 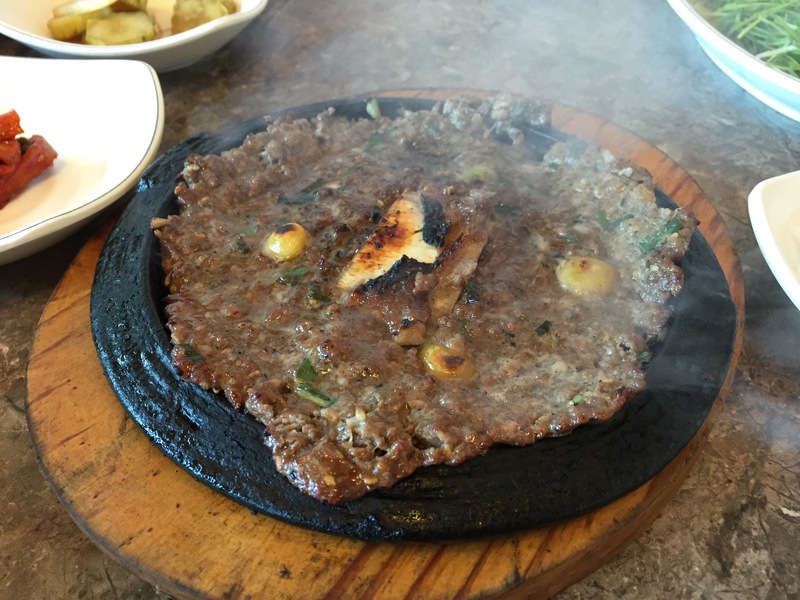 It is prepared on a sizzling hot plate and is steaming hot when it comes out. Your meat is accompanied by various banchan and lettuce to wrap up tasty bites! The DDokgalbi isn’t cheap; but it is yummy. We paid 21,000 won for a 260 gram portion. 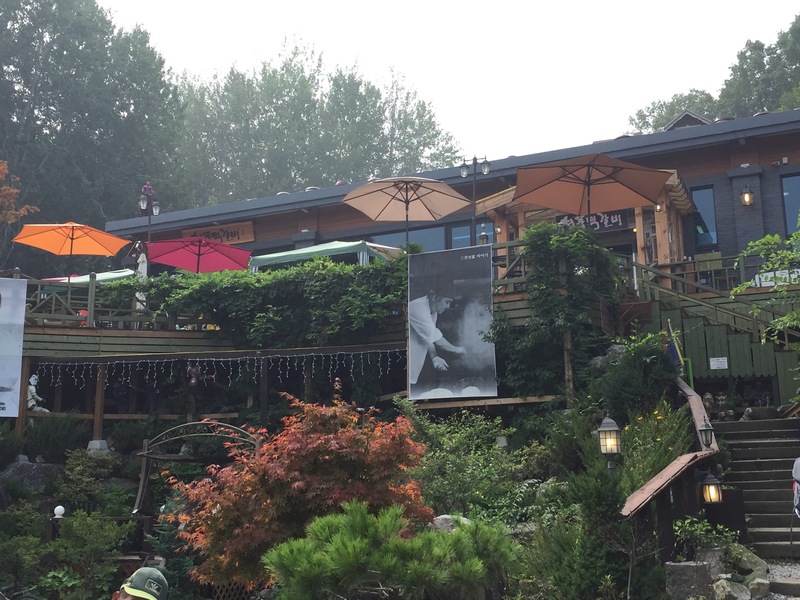 Don’t miss out when you are in the Danyang area!